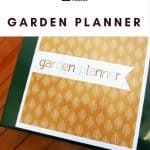 Here’s everything you need to set up a garden planner, and it’s free! 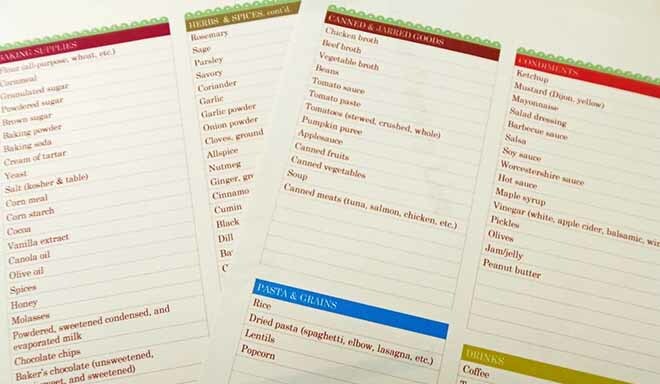 These are the printables that I used to set up my own garden planner years ago, and it’s still working great for me. 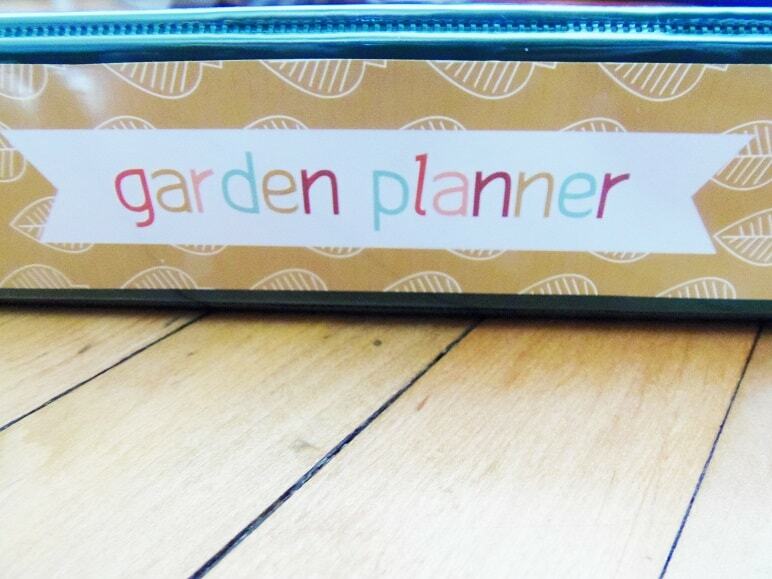 Want to see how I have my garden planner organized? Then, be sure to read to the end of the post. I’ve included lots of pictures of my current planner set up. 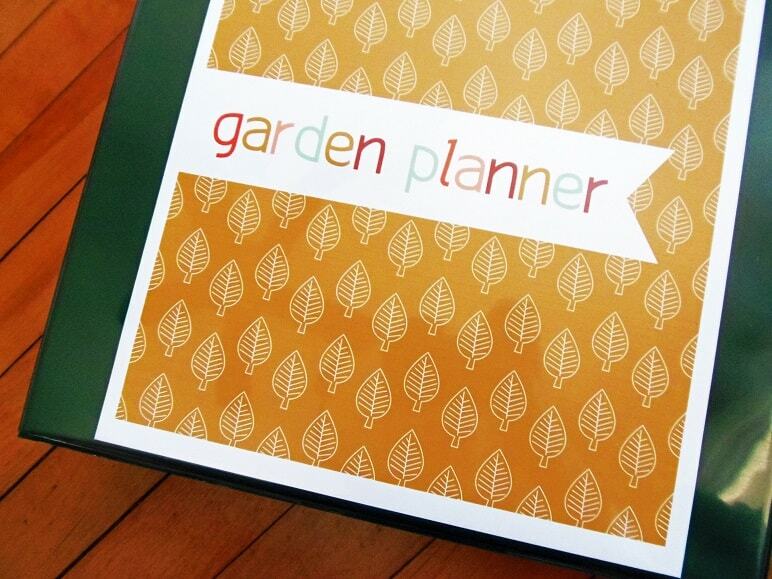 But, before I show you how I decided to organize things, let’s get a garden planner started for you. Here’s a link to the printable cover. 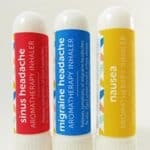 It includes a front, back and spine. Just slip it into a binder, and you’re all set. Use this gridded page to plan your garden beds. The plant key at the bottom will help to keep your designs need and organized. Make the most of your gardening space by planting a square foot garden. 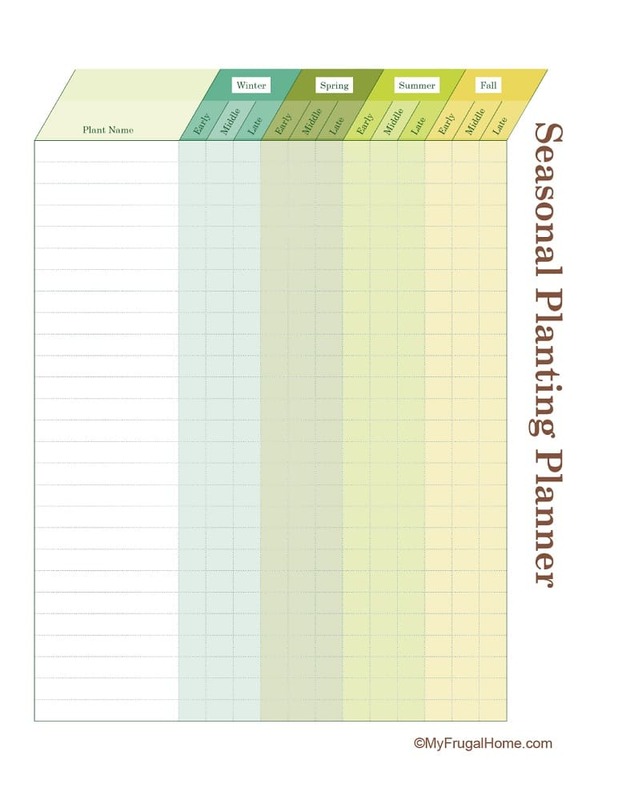 This planner makes it easy to plan what you’ll plant in each square. 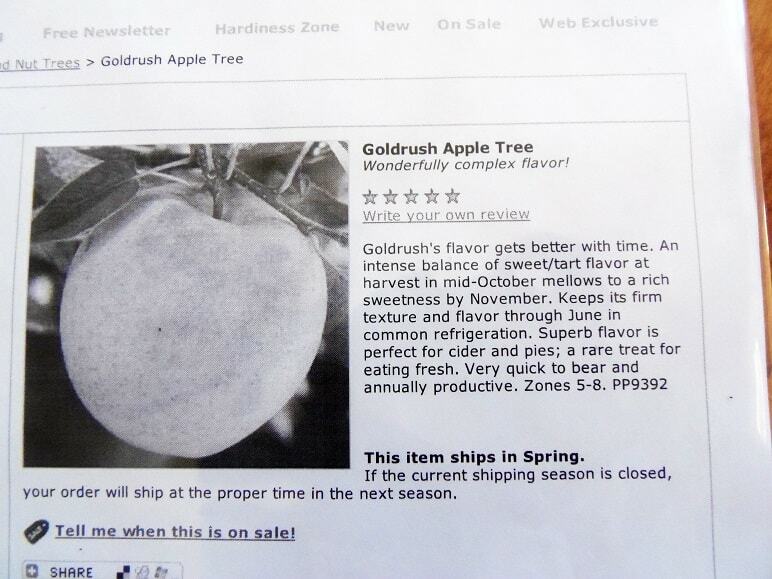 If you want to do succession planting, just print a separate copy for each season. 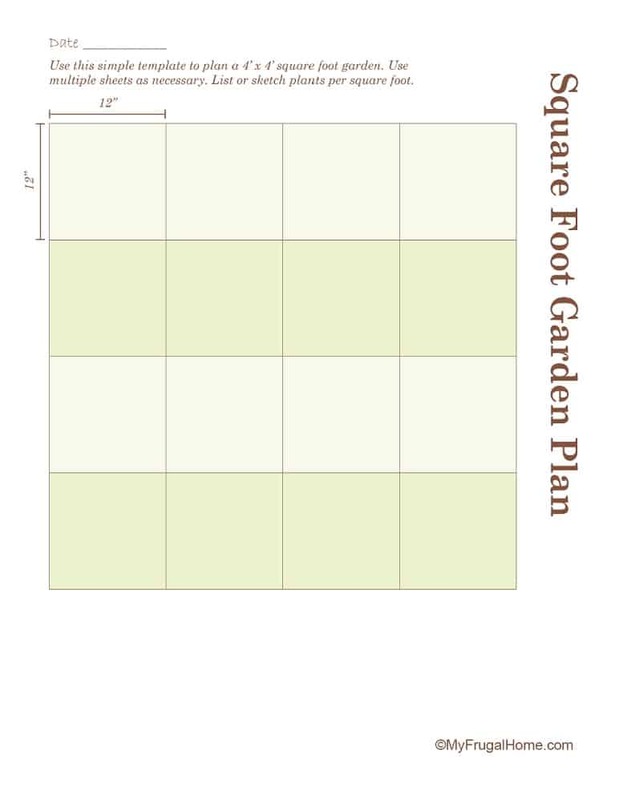 If you’re a square foot gardener, this square foot planting guide is a must. Look up the vegetable, fruit or herb that you want to plant, and it’ll tell you how many to plant per square. So handy! If you made a set of my dibbles to speed up your square foot planting, this dibble planting guide is nice to have. It shows you which dibble you need to use for each plant, and how deep you need to plant them. 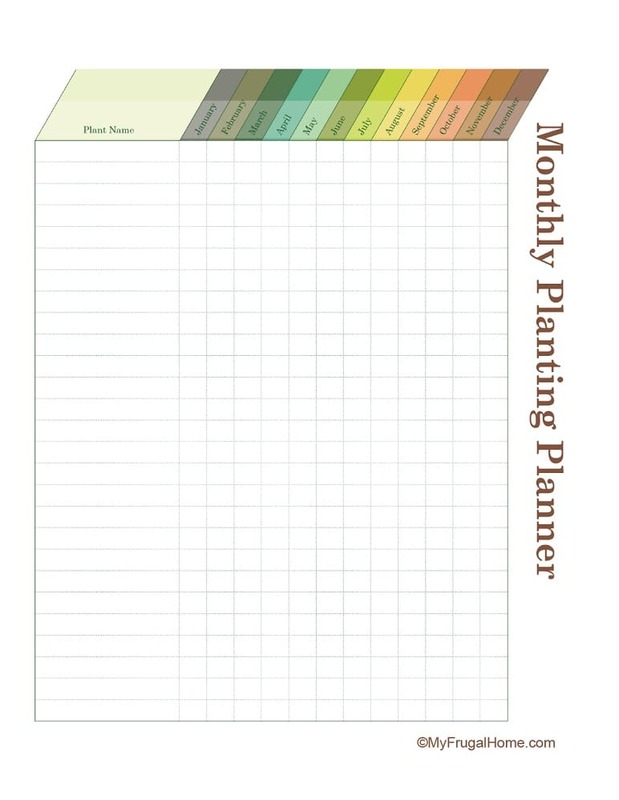 Use this monthly planting planner to map out what needs to be planted each month, so you don’t overlook anything. 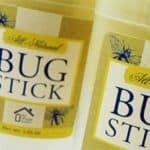 Have things that you need to plant more than once? This worksheet can handle that, too. Prefer to plan your garden out seasonally? 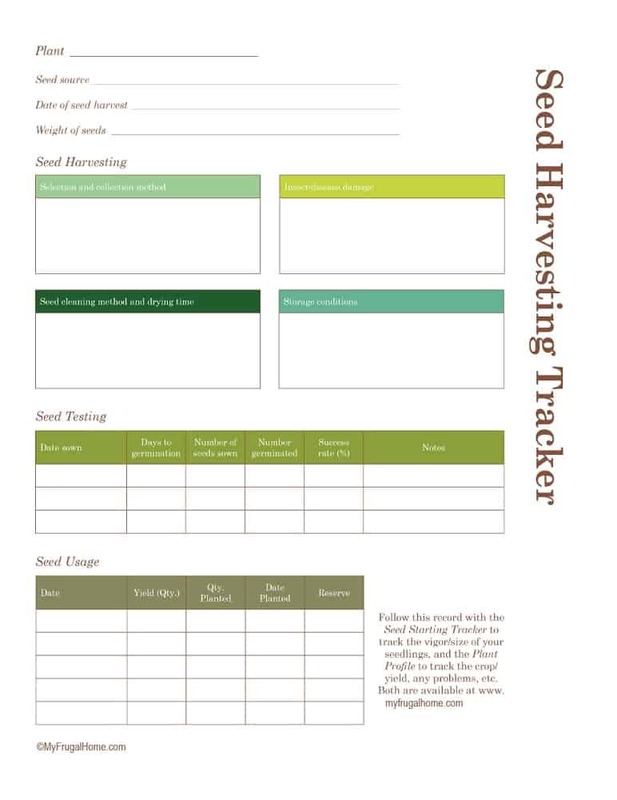 Use this worksheet to plan what you’ll plant each season. You can even indicate whether things need to be planted early, mid or late season. Use these seasonal garden to-do lists to keep up with your progress on important garden chores. 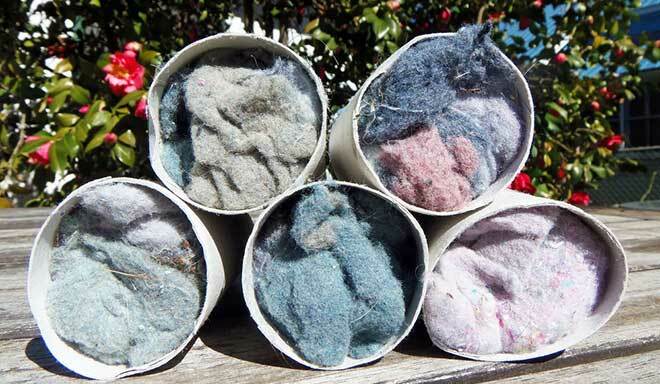 There’s one for each season, and room to add additional to-dos. 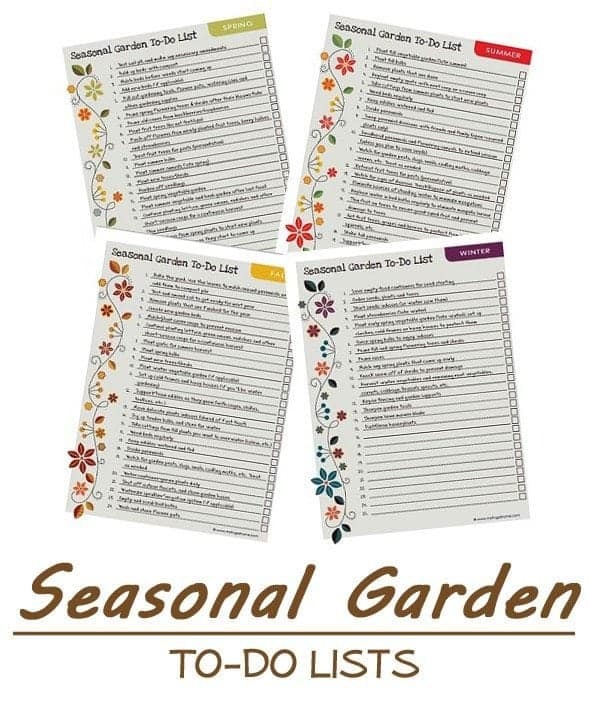 Prefer to create your own list of seasonal garden chores? 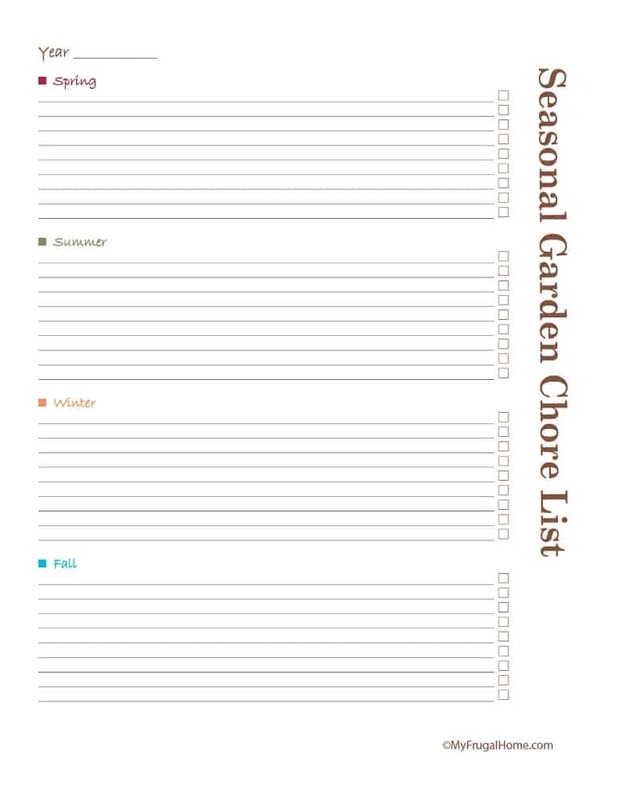 Use this seasonal garden chore list to do it. 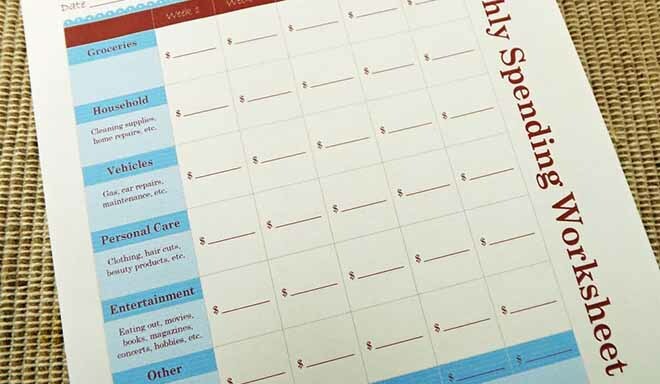 Make a list of the chores that you need to tackle each month, so you don’t forget to do anything important. 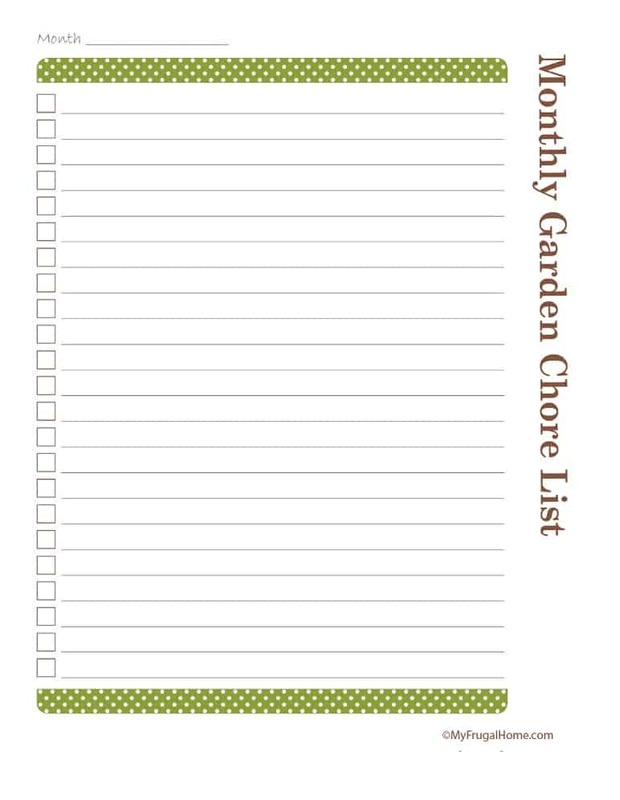 This monthly garden chore list makes it easy to set up a to-do list for each month. Fill it out once, and you’ll have a list you can refer to year after year. 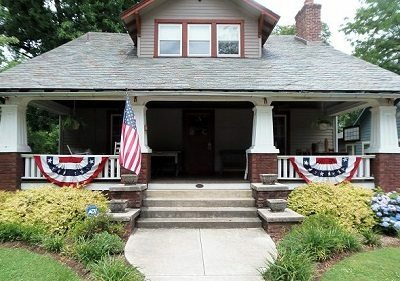 Have big plans for your garden that are going to take some time to accomplish? 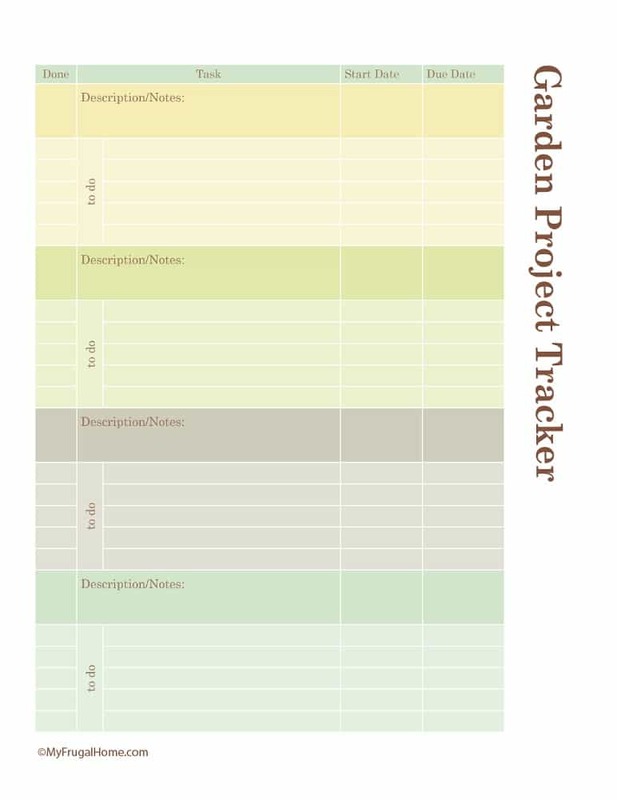 Use this garden project tracker to keep up with your progress over time. 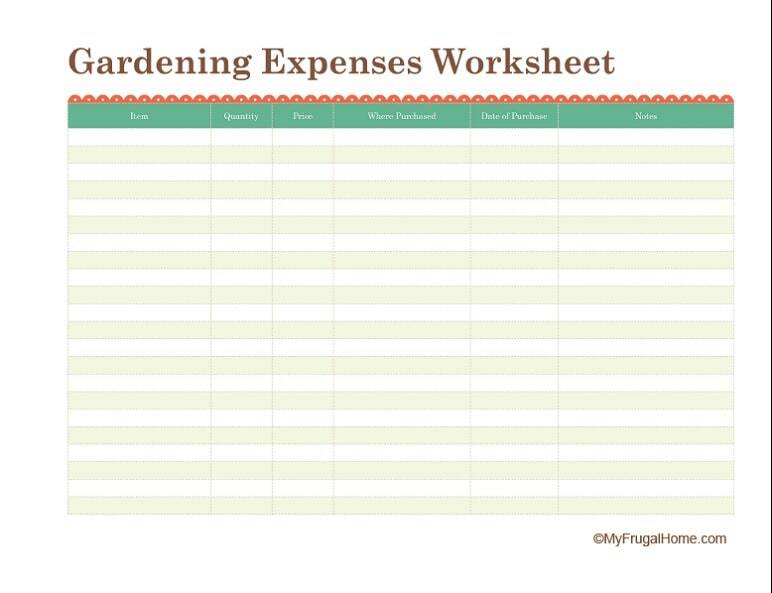 Use this worksheet to record your garden expenses, and at the end of the season you’ll be able to see just how much you spent on seeds, plants, mulch, etc. 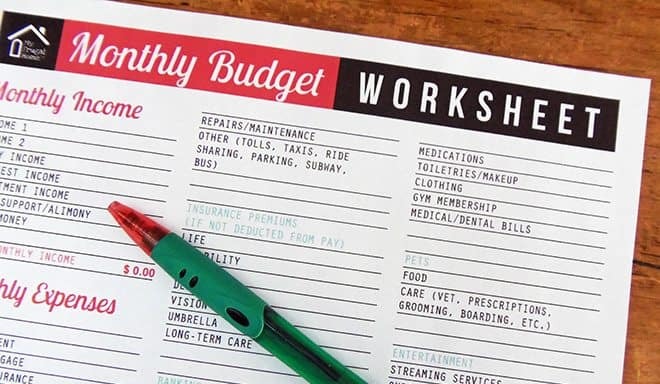 This worksheet will also help you to track the price of the things that you buy each year, so you’ll know whether or not you’re getting a good deal. 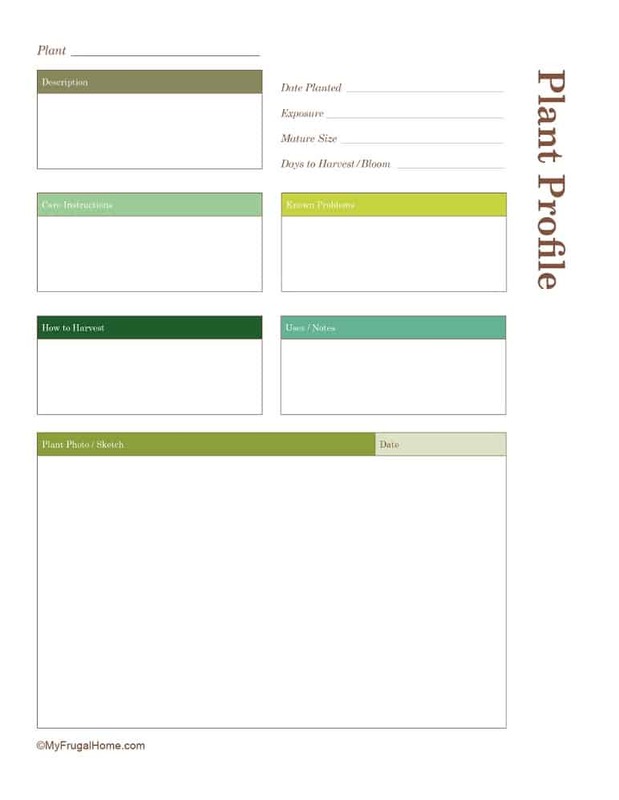 Create a profile for each plant you grow, so it’ll be easy to keep up with their needs, growing habits, harvest instructions and other particulars. 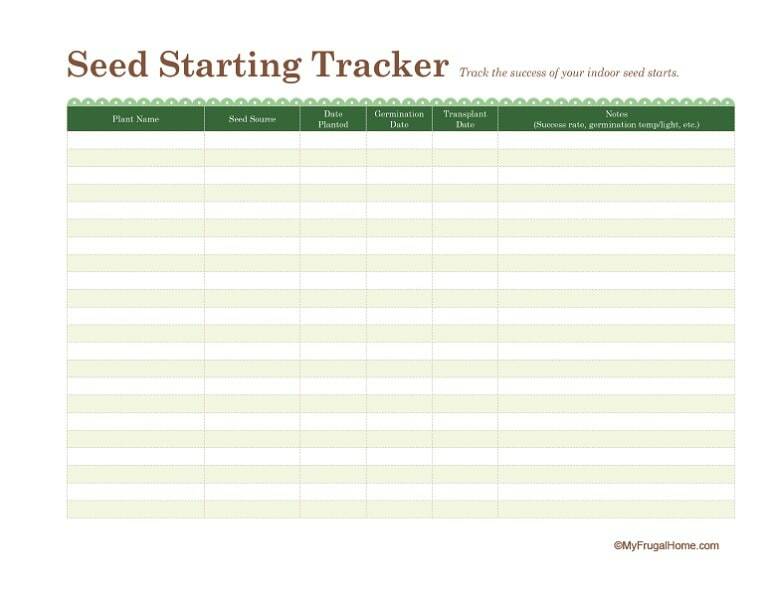 Use this worksheet to track the success of your indoor seed starts, so you can repeat the things that worked and avoid the things that didn’t. 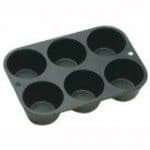 It includes spots to record where you got your seeds, when you planted them, when they germinated and when you transplanted them. It also includes plenty of room to record success rates and information about the growing conditions for each plant. 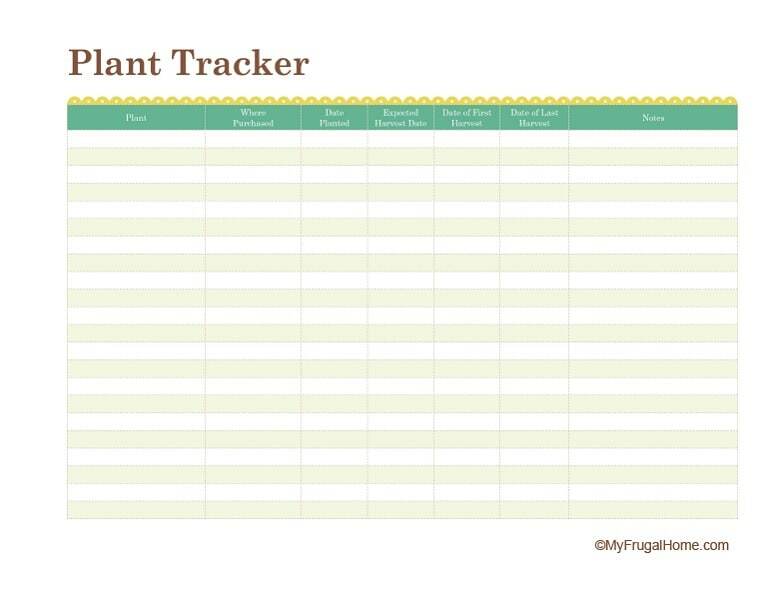 Use this plant tracker worksheet to track the success of new plantings. This will help you to determine which plants do best in your yard, which nurseries have the healthiest plants and even when you’re likely to see your first harvest. 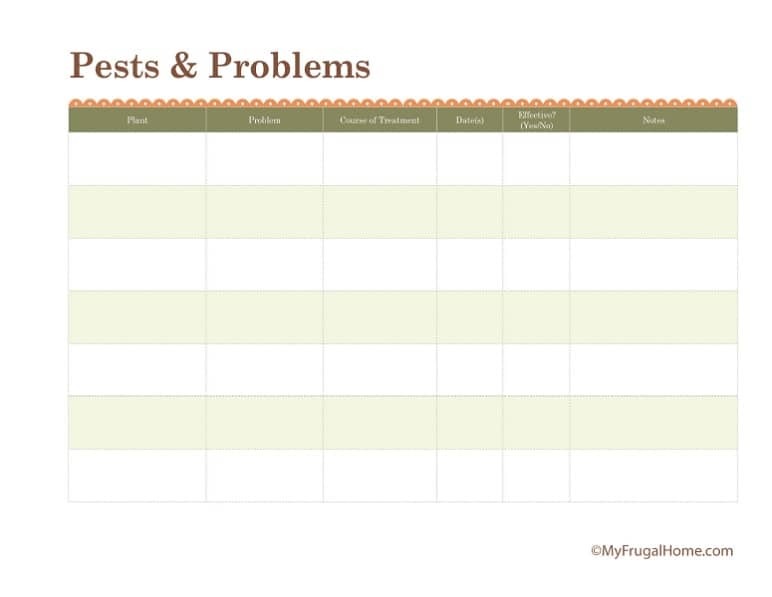 Keep detailed records of the pests and problems you encounter in your garden, so you’ll be able to go back and see what worked and what didn’t the next time the same problem pops up. 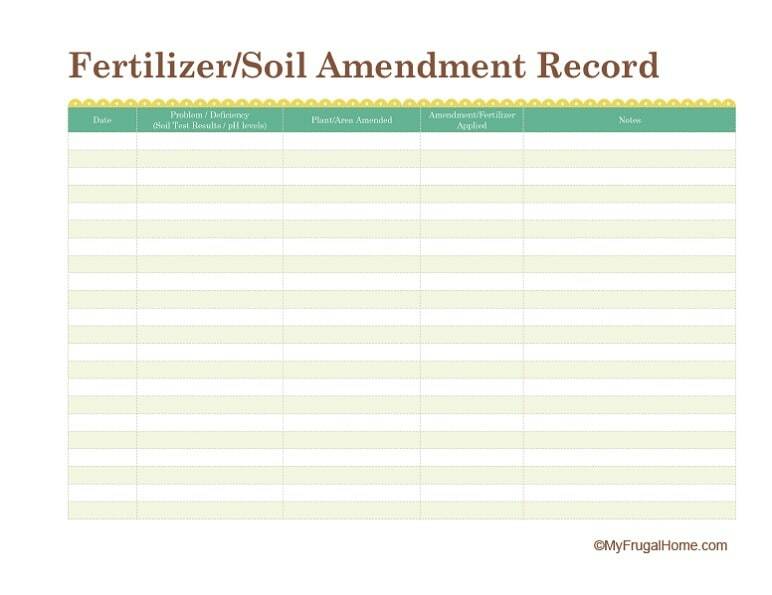 Each time you fertilize or amend your garden soil to address an issue, record the details on this worksheet, so you can track the success of your efforts. 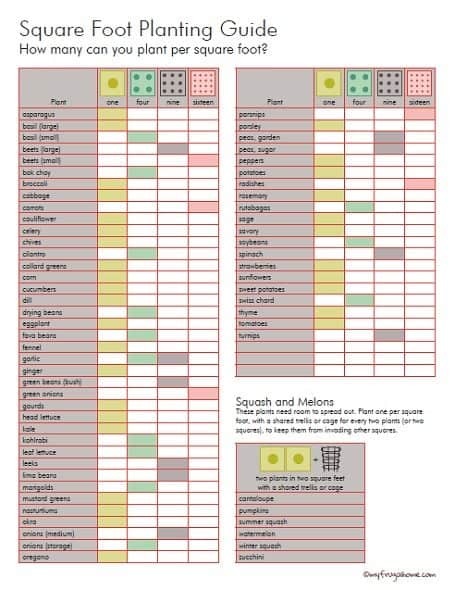 Use this garden harvest tracker to keep up with how much food your plants and trees are producing. 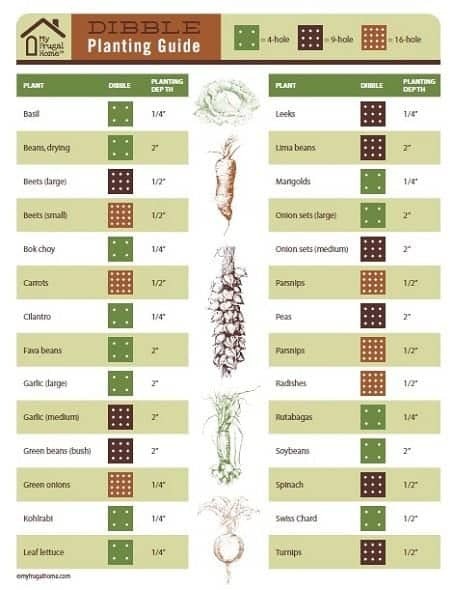 This information can be used to determine which varieties are most productive, how much you should plant next year and even the cost per pound for the foods you grow. Collect the seeds from your garden at the end of the season, so you’ll have fewer to buy next year. 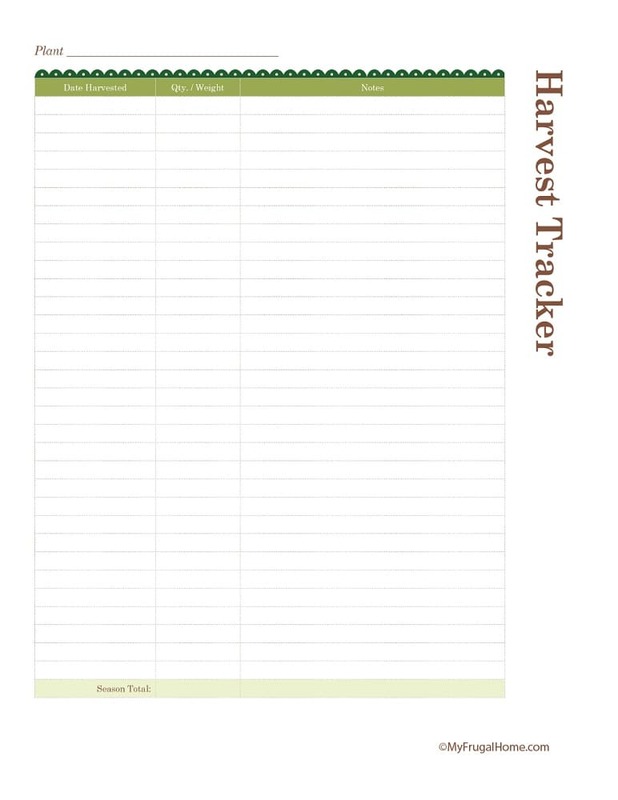 This Seed Harvesting Tracker is the perfect place to jot down harvest instructions and the results of your seed viability tests. 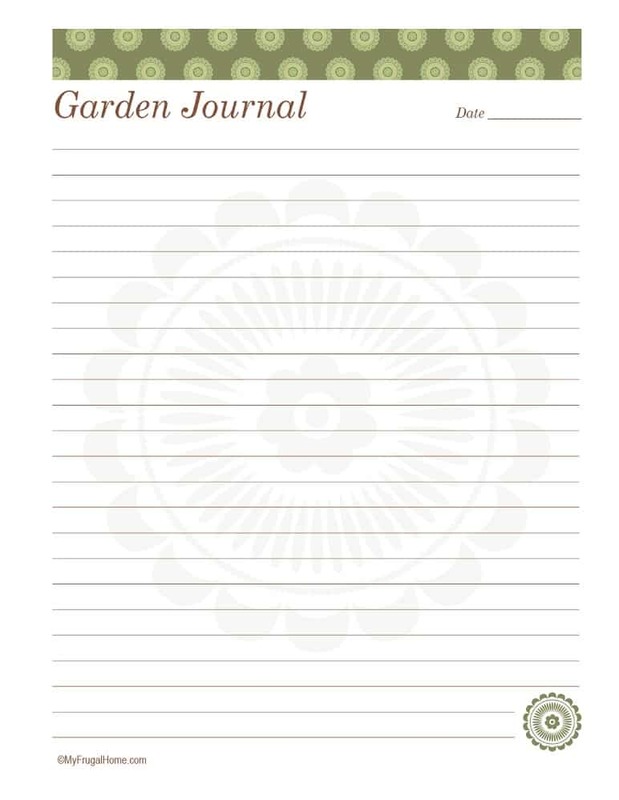 Start a garden journal, so you’ll have a place to note all the things that are going on in your garden. Just taking a minute to jot down what’s in bloom and what’s going on with the weather will allow you to compare growing seasons and predict when things are likely to happen next year. 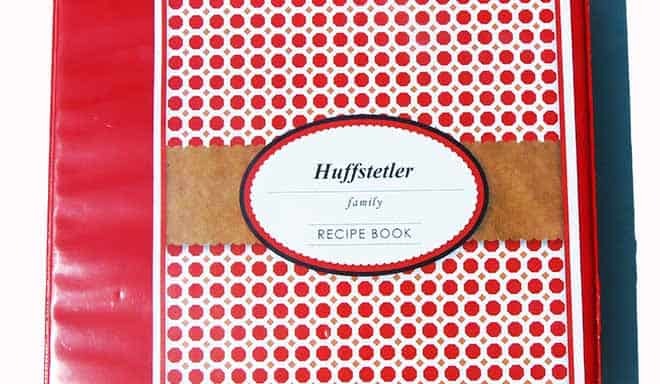 Too busy to keep a full-blown journal? No problem. 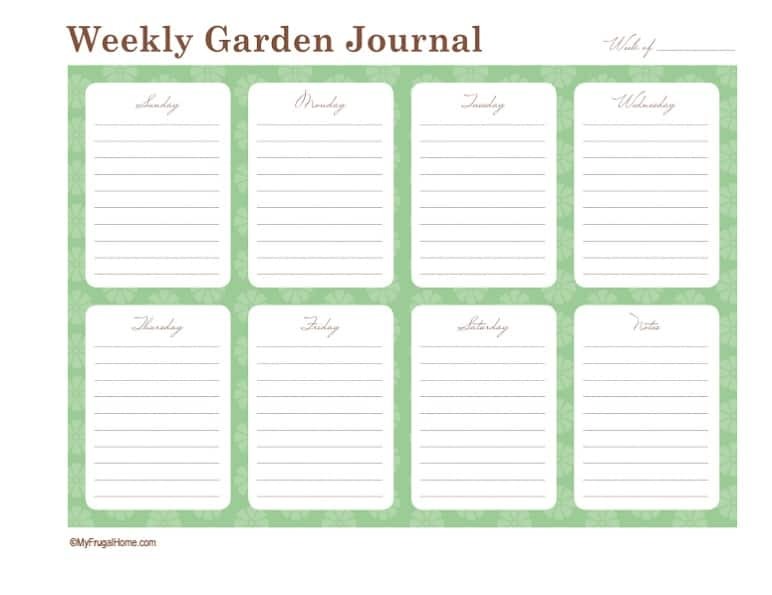 This weekly garden journal is the perfect place to scribble a few quick notes about what’s going on in your garden. Okay, now that you have a bunch of pages for your garden planner, let me show you some of the things I keep in mine. 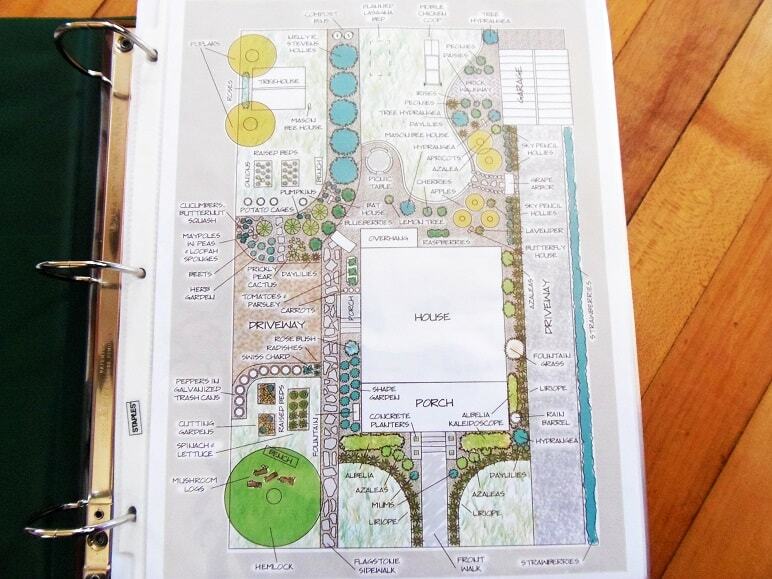 The first page of my planner is a copy of my garden design. Since I sometimes take my planner out to the garden with me, I decided to put all my planner pages inside page protectors. This keeps my records from getting dirty or wet. 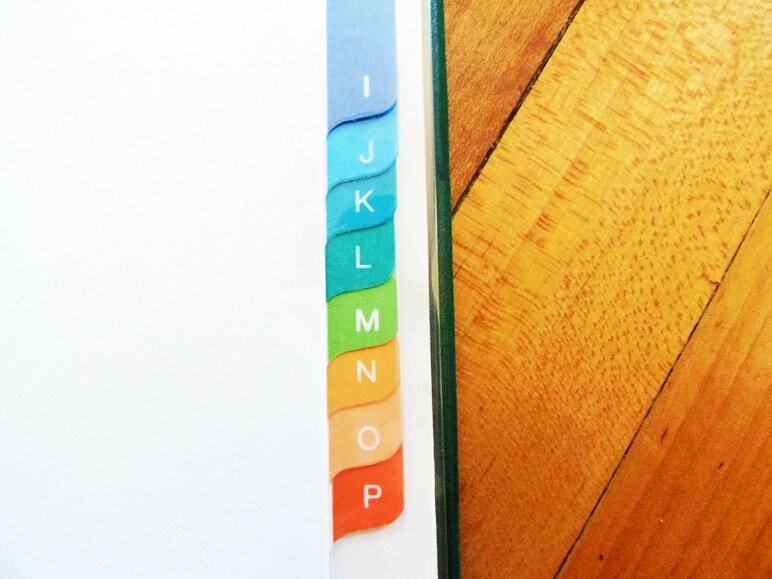 and filed each sheet/tag by letter. A for apples, B for blueberries … you get the idea. 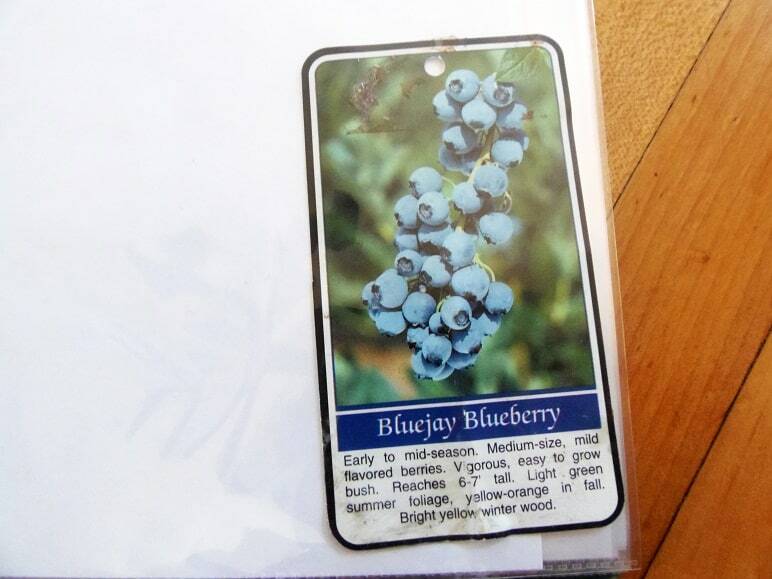 Then, I jumped online and printed sheets for any plants that I didn’t have information on. Now, I have a handy guide to everything I grow, and a set up that will be easy to add to over time. 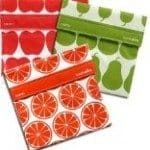 As we get closer to gardening season, I’ll add additional pages to track my seed starts, bed plans and other projects. I love your site and all the printables. I love your garden layout. I’m starting a new garden. Can you tell me what you used to draw out your layout? It’s so beautiful. Thanks, Senica. It was done in Adobe InDesign. As programs go, it’s a little pricey. I just typed “free garden designer” into Google, and it brought back several promising results. Might be something to check out. 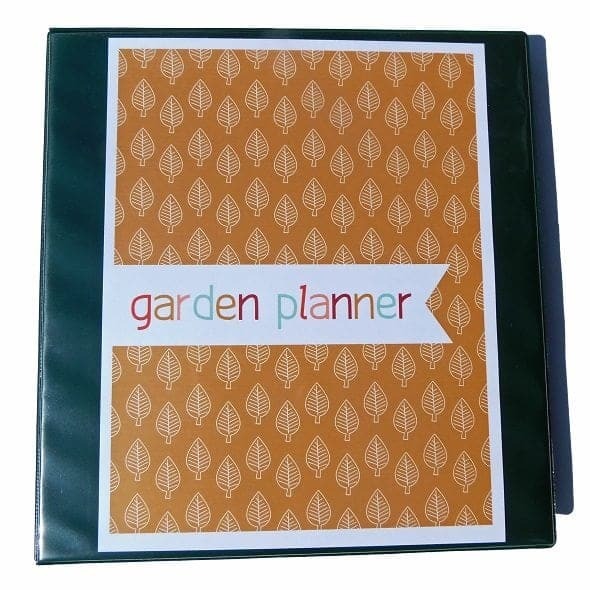 I would love to print your garden planner, but when I follow the link, it redirects me to thebalance dot com, and there is no place to download the printable. There are lots of ads with downloadable programs, but no planner. Your pages are so inpiring, I would really love to be able to download them. 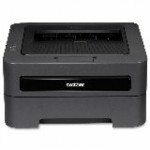 Can you please send me a workable link? Hi, Sonya. You just stumbled on a problem that’s currently driving me nuts. 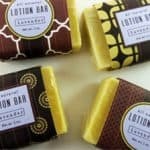 About.com moved all of my content over to their new site, thebalance.com, and none of the links to my printables are currently working (in fact the links aren’t even there at all). I’m hoping they’ll resolve this soon, but it’s already been like this for two weeks. Not really sure what to do in the meantime. If it were just one or two files, I’d offer to e-mail them, but there are so many pages to that garden journal, it’s really too big to send. 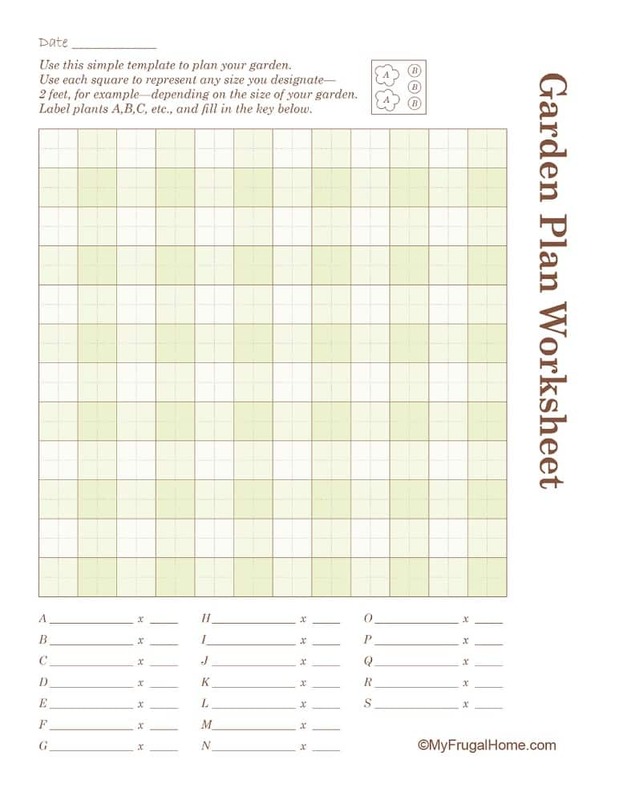 I have a free printable cover for a garden planner here on MFH, but I know it’s not the same as getting all of those pages. I may just have to design something for this site. I really liked the pintables that you can view but not print on thebalance link as well. 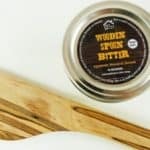 Is there any way to get a link to those that work? My husband and I are working on a solution for that as we speak. We hope to have those printables available again very soon. Oh my goodness! I’ve been following and checking back off and on because you’re pages are perfect and it seems that it now works! There is a little “print” button next to each image on the balance. I don’t know if that is your doing or not, but I wanted to say thank you so much! This is awesome! 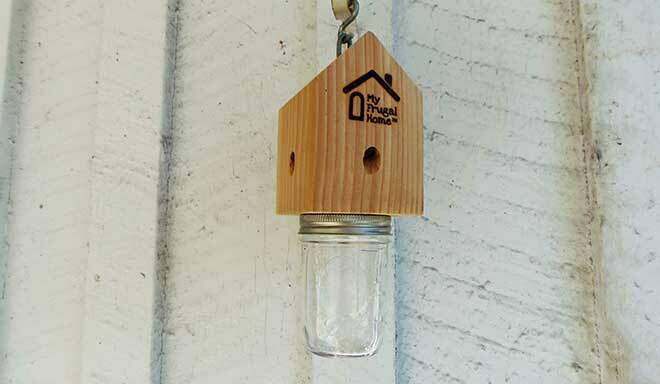 Working in the yard this weekend planting and sprucing up and this garden organizer is exactly what I need!